What do you mean you didn’t know Adele, Liza, and Madonna were in Perth right now? 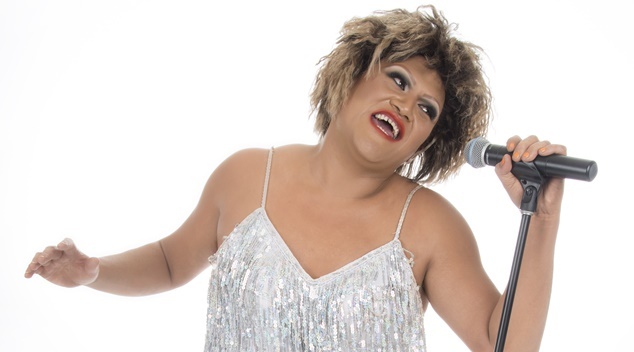 Six of Perth’s best drag talents return to the Connections’ stage to showcase their best pop star impersonations in DIVAS – All Male Revue. Fittingly opening with Amanda Love as Shirley Bassey getting the party well and truly started, local gal Feminem takes to the stage to welcome the audience and lay out the evening. The concept is simple, each of the queens take turns to impersonate some of music’s greatest divas – past and present – and what ensues is a glittering evening of fabulous costumes and raucous good fun. Feminem rekindles her viral fame as the queen who joined Adele on stage in her most recent Perth appearance, and takes the opportunity to show off her own vocal talents with a rendition of Rumour Has It. Each of the queens impressively portray at least two legends each, a testament to each of their versatility as performers. Though the costumes may not always instantly strike you as an iconic moment from the diva on stage – the signals are clear and each of the girls make the effort to give nuanced affectations that show they’ve done their research. Building on last year’s success, Ruby Jewelz shines bright light a diamond, newcomer Donna Kebab brings a hilariously intense Annie Lennox to the stage, and we don’t have to say we love Katya Kokov as Dusty Springfield. Veronica Jean Jones’ Liza Minnelli remains a stand-out moment of the showcase, capturing the icon’s particular brand of mania perfectly. Amanda Love also kills it as a fiercely energetic Tina Turner. Keep on burnin’, girl. Overall, the show sets out exactly what it achieves to do, bring a little drag-oriented fun to Fringe World audiences that may not have seen these girls owning the stage at Perth’s gay bars – all wrapped up with a extra-fabulous group finale. Start spreading the news; DIVAS is simply the best.